When the House censured Charlie Rangel yesterday, it signified a shift in how Congress does business. 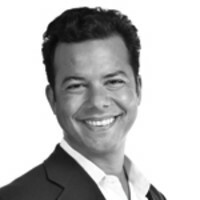 John Avlon on how neither race nor power nor reputation can shake off scrutiny. Yesterday's censure of Charles Rangel capped a stunning fall from grace for a man who seemed synonymous with congressional power just two short years ago. Censure is the modern equivalent of the Puritan punishment of being put in the stockades. It is a public shaming that stings all the more because it is imposed by your colleagues in sight of the whole community—in this case the whole country. Rangel was alternately in denial and defiant throughout this process. The two-year investigation ultimately came up with 13 counts of ethics violations, including charges of failing to disclose income in excess of $800,000, soliciting donations from corporations with business before his committee to fund a school of public service that bears his name, and illegally using four rent-controlled apartments in his home district of Harlem. Rangel's last gambits verged on the absurd and detracted from his remaining dignity. When his postponed trial began after the mid-term elections, he claimed that he did not have time to compile a legal defense fund. When that desperate argument was rejected, he walked out of the hearing, playing the victim card all the way. When the decision finally came down, he tried another tack, arguing that censure was too harsh a punishment to be imposed for his mistakes. Rangel's ultimate defense was that his crimes were ones of negligence, not personal enrichment. When an average citizen can claim that as a defense in front of the IRS, please let me know. Until then, it's more than fair to expect that the chairman of the tax-writing committee should not only follow the letter of the law he oversees, but hold himself to a higher standard. Rangel's recent wrangling was fueled in part by the 80 percent re-election vote he just received from his constituents—the 80-year-old congressman must feel vindicated by that verdict and so he wonders why any other jury should matter. But that is in large part a legacy of safe congressional seats and closed-partisan primaries. It will one day look embarrassing that northern Manhattan essentially endorsed his actions. But hey, the last congressman to be censured, Democratic Representative Gary Studds, went on to be re-elected a half-dozen times despite having been found to be in an inappropriate relationship with an underage male page. So there is apparently a safe district precedent for constituents' forgiveness for unethical actions. There is, however, a sad historic irony hovering over these proceedings—Charlie Rangel first won his seat 40 years ago by defeating the pioneering but ethically challenged Congressman Adam Clayton Powell, Jr. Like Powell, Rangel's repudiation by his congressional colleagues does not over-shadow the totality of his public service. But his record of public service cannot and should not allow him to avoid accountability. There is a larger narrative at work as well. Two years after the election of the first African-American president, some senior members of the civil rights generation of African-American elected leaders are coming under scrutiny and found to have fallen short. For example, shortly after the Democrats re-took the House of Representatives in 2006, Louisiana Congressman William Jefferson was found to have kept some $90,000 in ill-gotten cold, hard cash in his freezer. Rangel's case will shortly be followed by an ethics trial for the almost-as-legendary Los Angeles Congresswoman Maxine Waters, who is accused of pursuing a multimillion-dollar bailout of a local bank in which her husband was both on the board and had a considerable investment. This case is likely to get worse in the coming weeks. It will one day look embarrassing that northern Manhattan essentially endorsed his actions. After Obama's election, there has been a leveling of sorts. With the new scrutiny that comes alongside the pinnacle of power, some party machine politicians have found that the rules have changed. Reflexive attempts to play the victim don't work they way they used to. Accountability is now colorblind. That is a sign of progress as a nation, more evidence that we are constantly in the process of forming a more perfect union. The spectacle of an aging congressman, struggling to push back the tide of censure was not a commentary on his race but a reflection of an older human drama, reminding us again that pride comes before the fall.